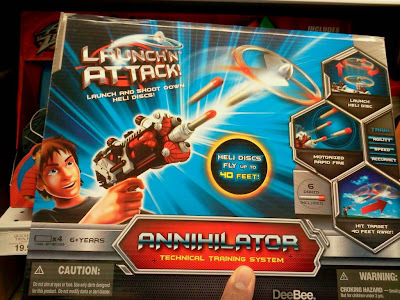 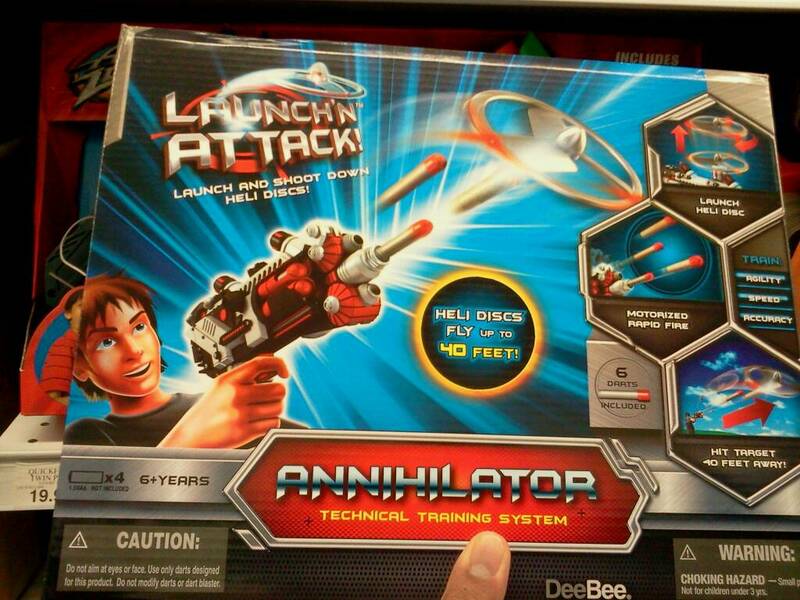 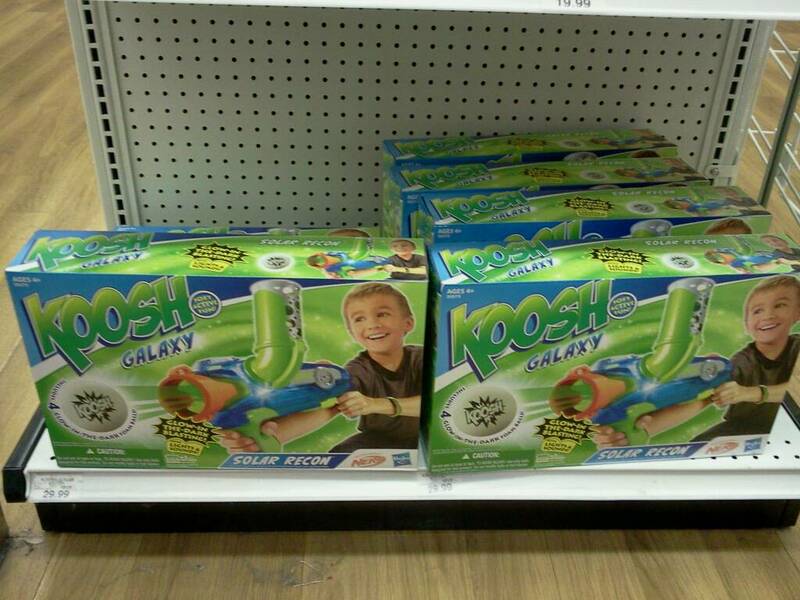 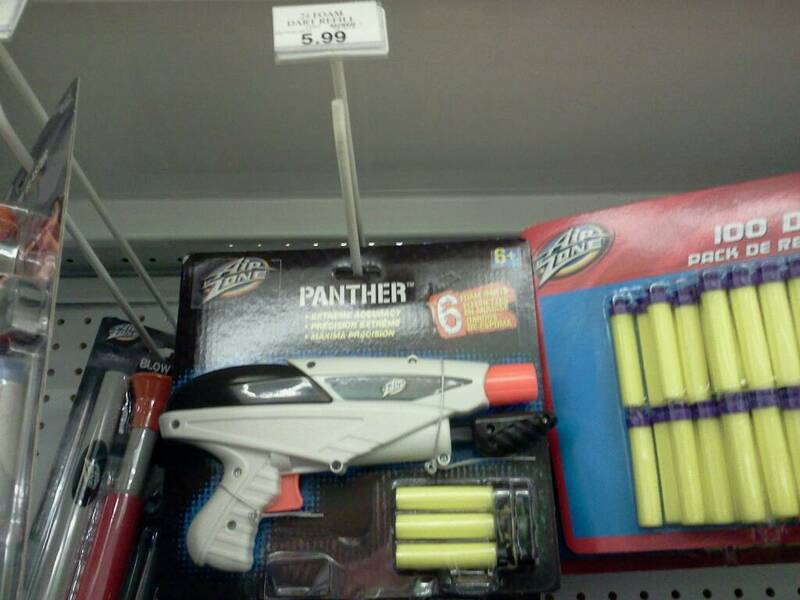 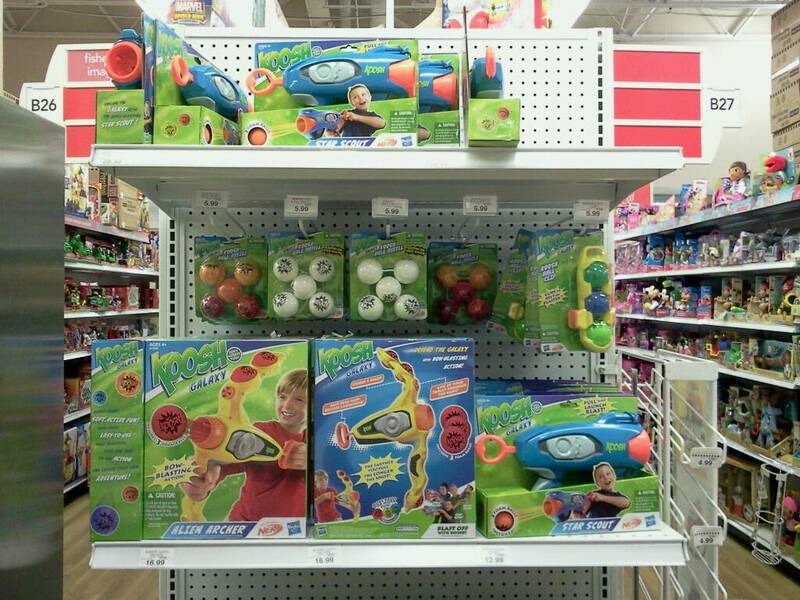 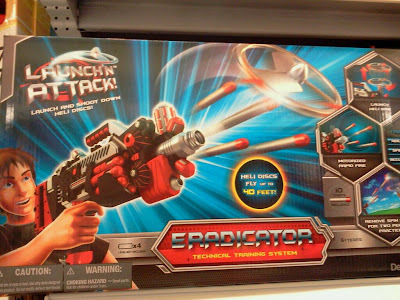 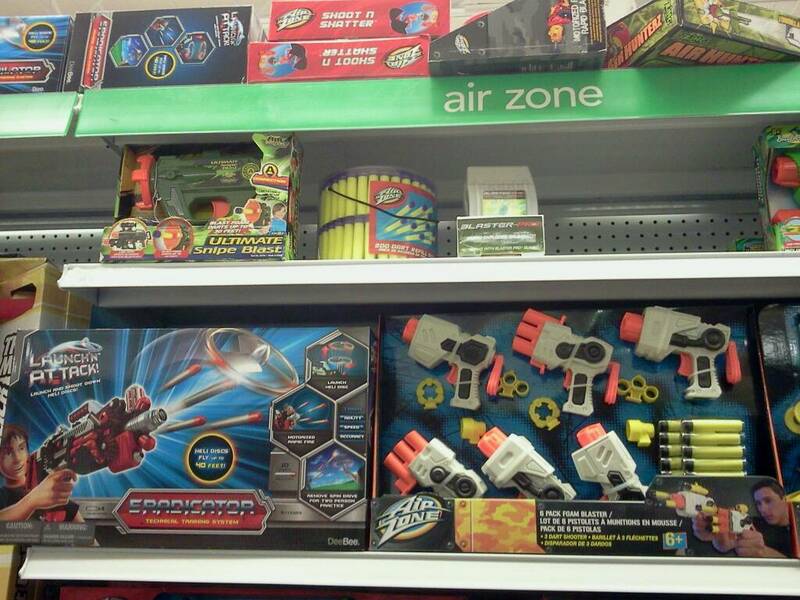 Nerf Koosh, some new stuff from Airzone, have not seen a Surge 6 on shelves for awhile, some new target shooting things, a new Quickstrike blaster, but quite possibly the most interesting thing was the new Launch N Attack stuff. 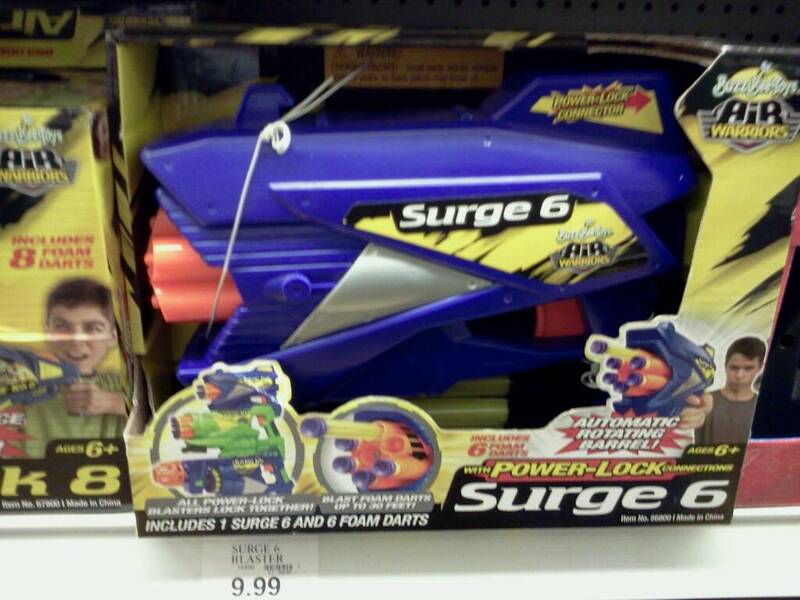 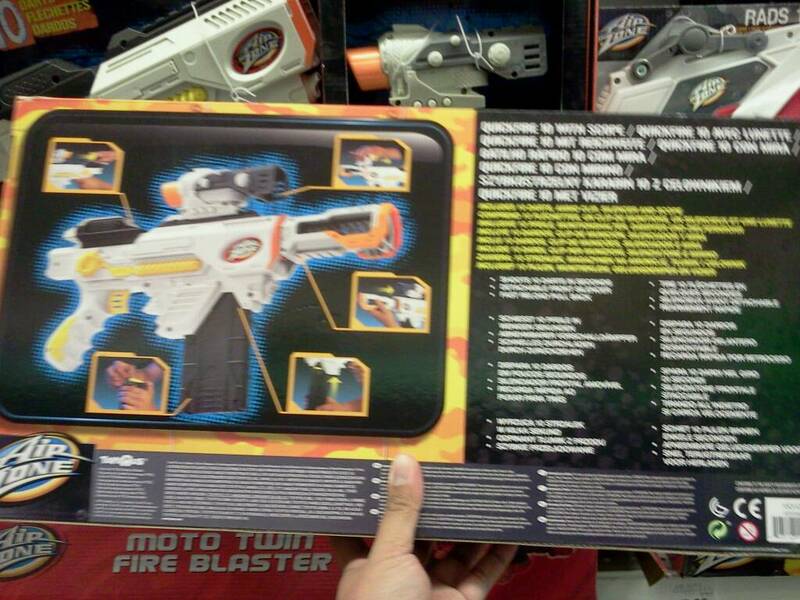 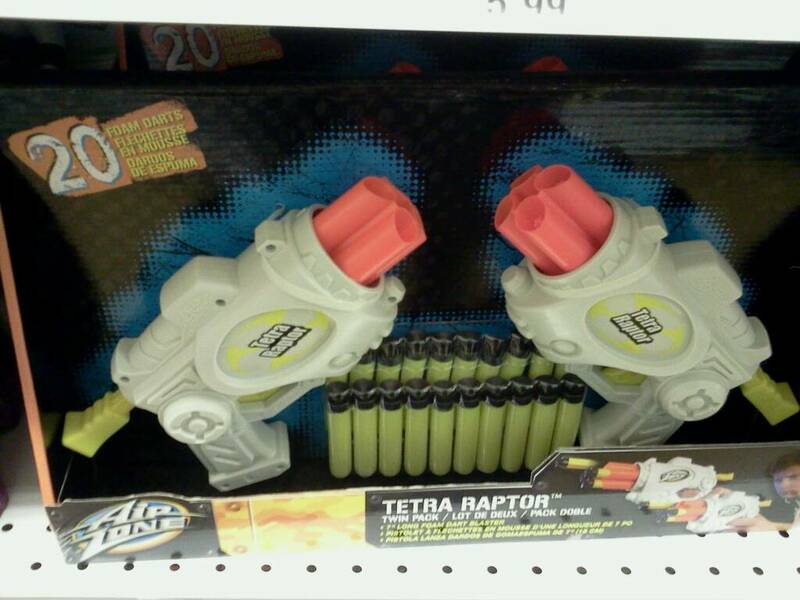 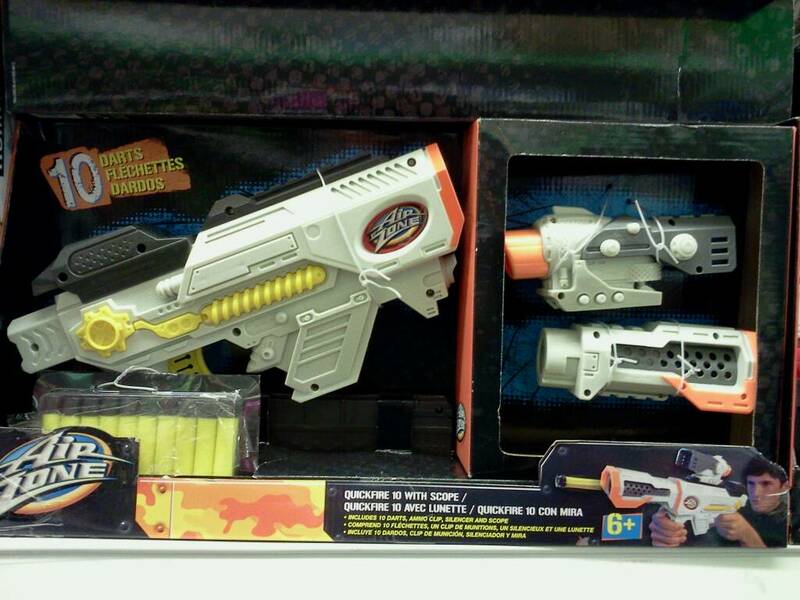 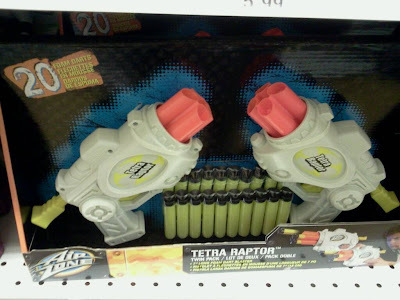 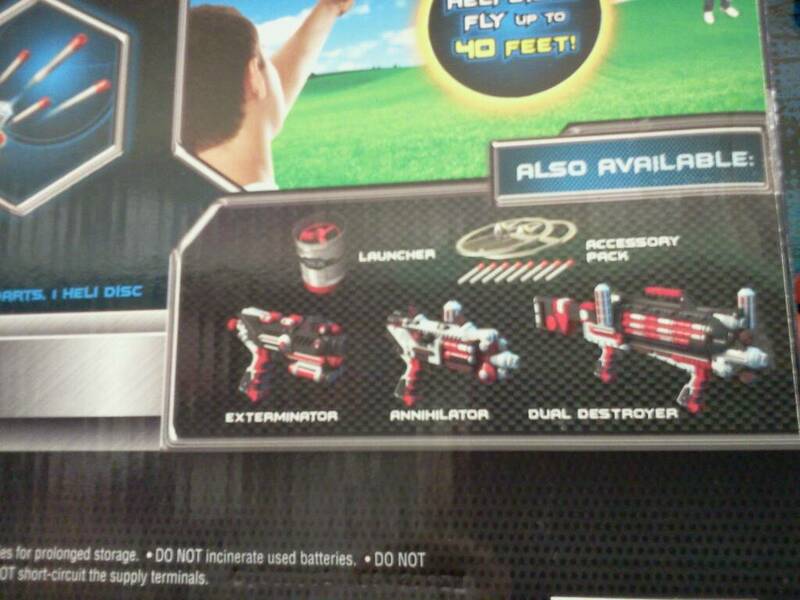 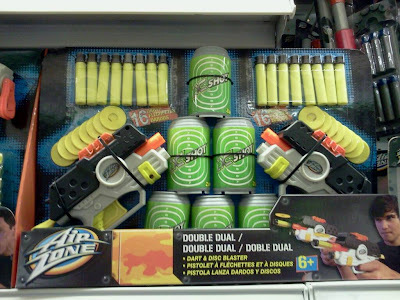 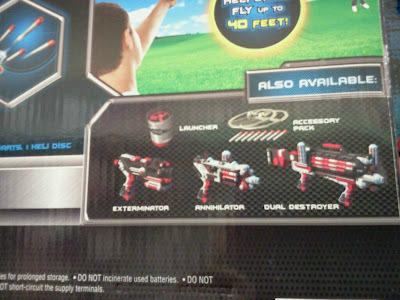 Looks like a line of flywheel blasters and I do believe that is a copied Nerf barricade as well as a reshell of the Powerstrike 48. 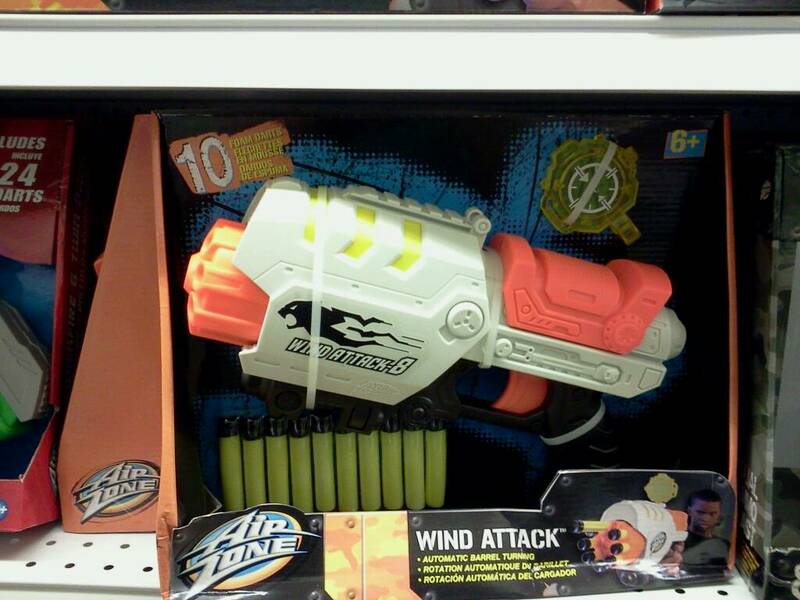 The darts are streamlined, and they have a huge rotor target that launches up and you shoot it down. 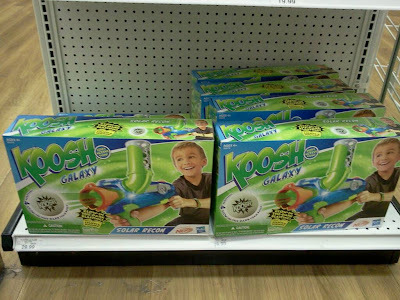 This requires some looking into.